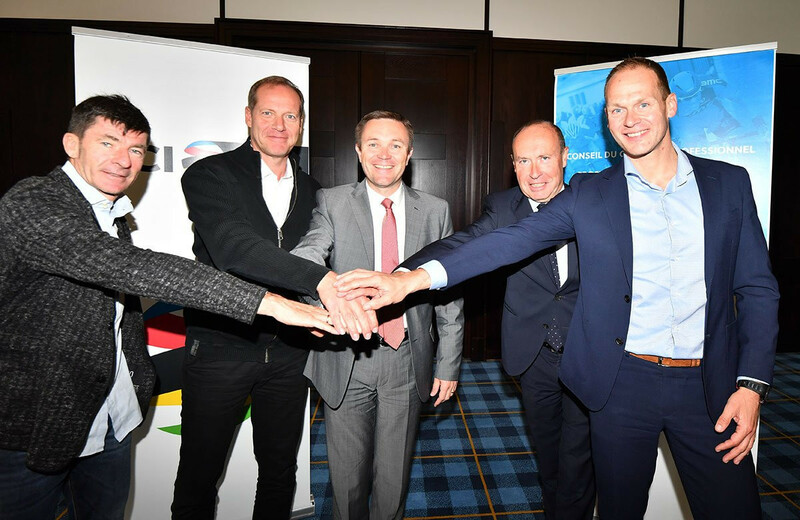 Richard Plugge, vice-president of the team representatives the Association International des Groupes Cyclistes Professionels (AIGCP), has hailed "a big move forward" following the recent intensive discussions over the future of the sport with the International Cycling Union (UCI). International Cycling Union (UCI) President David Lappartient has announced that all of the sport’s stakeholders - the UCI, teams, riders and race organisers - have unanimously approved reform to the structure of the men's WorldTour for the 2020 season and beyond. Relations between the International Cycling Federation (UCI) and the cycling team’s organisation AIGCP are at crisis point ahead of Monday’s announcement of major reform plans – with the teams claiming they will not accept the proposals as they stand. A leading representative of cycling’s team organisation, the AIGCP, has claimed that David Lappartient, the International Cycling Union (UCI) President, is "very positive" about its ideas for the sport’s reform, including bundling rights and increasing, rather than diminishing, the size and number of teams involved in the WorldTour. Japan’s success at the Asian Track Cycling Championships in Kuala Lumpur continued today as their riders won two more golds on the third day of competition thanks to Hashimoto Hashimoto in the men’s omnium, and Tomohiro Fukaya in the men’s 1km time trial.